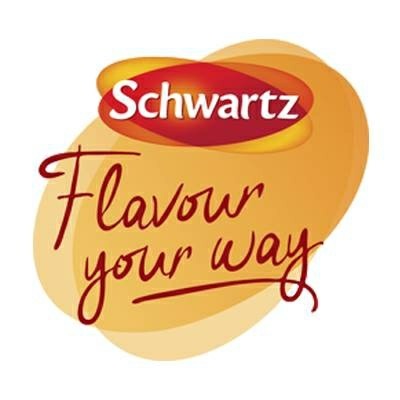 This is a sponsored post in collaboration with Schwartz. Well, the weather is still rather bleak, what with the icy temperatures and all the storms the UK has been battling this month, but as I write, the sun is shining and the evenings are beginning to draw out giving us longer, lighter nights which can only mean that springtime is not too far around the corner. February however is still a time when comfort food reigns; sure when it's cold, grey and damp outside any meal made with love and attention is enough to bring cheer to the table. But, surely the best meal of all to bring comfort & warmth on the grandest of scales has to be roast chicken and all of the trimmings? 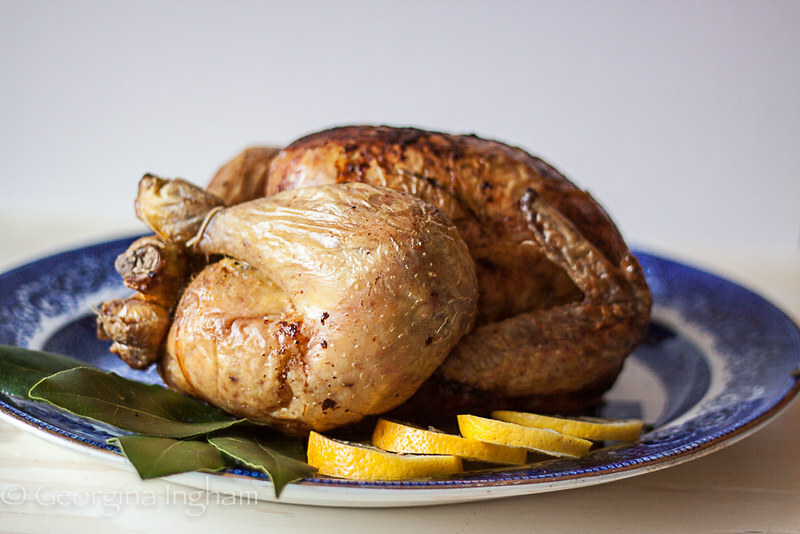 As Nigella Lawson pointed out in her seminal work, Feast: Food that celebrates life, “There are few things that can’t be made better by a chicken roasting in the oven”. Like Nigella, I like to roast my chicken with plenty of herbs, lemon and butter, lots of butter. I stuff the cavity with sliced lemons, bay leaves, herbs, garlic cloves and a few peppercorns which have been bruised but not crushed. 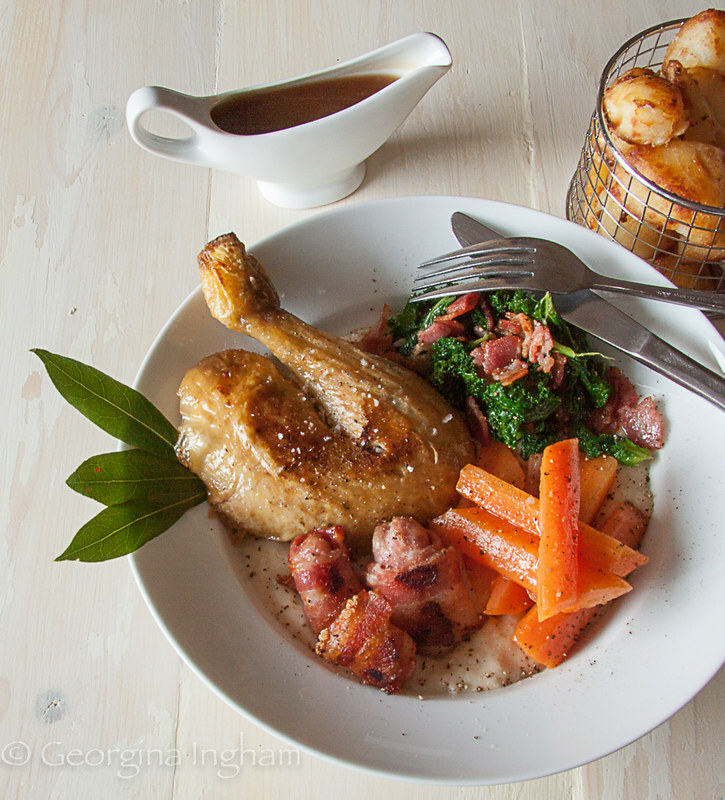 A plain roast chicken smells good when cooking, this version smells heavenly. Generally when I roast my chicken, I use a varied selection of fresh herbs, dependent on what is either growing in the garden or on my kitchen windowsill, but this time I used dried bay leaves and mixed herbs (a blend of marjoram, oregano, basil and thyme) from the Schwartz range and was, I have to say, rather impressed. On opening the packets, both the bay leaves and the mixed herbs were headily aromatic - you could tell that they had been freeze dried whilst the herbs were still ultra fresh. As for the bay leaves, unlike many other brands I’ve tried, the leaves were mostly still whole and a lovely colour; all too often dried bay comes as scentless, brown indistinguishable flakes that bear no resemblance to their former, fresh glory. 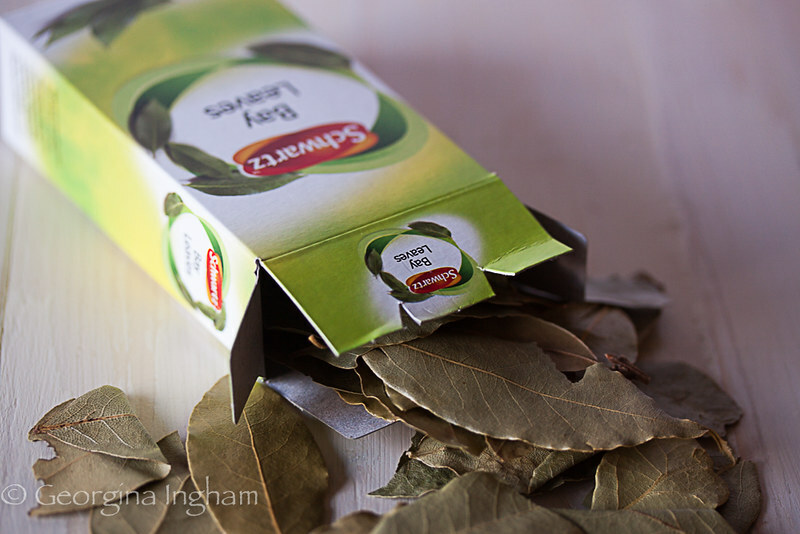 It is important to remember to gently crush or tear the bay leaves (both when fresh and dried) to release their volatile essential oils and allow them to be at their most flavoursome. Did you know that in ancient Greece and Rome the branches of the bay tree (laurus nobilis) were used as wreaths to crown the victors in battle, sport and the arts. We still use the term poet laureate. The word baccalaureate means laurel berries and signifies the successful completion of ones studies. Roast chicken without bread sauce would be almost sinful, so of course you’ll be needing to make plenty of my ultra creamy, bay leaf and spice infused recipe. In addition to the traditional bay, clove and mace I also add juniper berries and peppercorns to my infused milk. There is something calming and warming to the soul about the scent of bread sauce in the air, the oniony milk spiked with fragrant herbs & spices. Bread sauce is the ultimate in nursery comfort foods. I always steep my milk, and by that I mean I put my onion, bay, etc into a pan of milk and bring to boiling point before removing from the heat and allowing to stand, in the morning as this gives plenty of time for the flavours to develop and, added bonus, makes the kitchen smell divine. According to 1001 Foods by Terry Durack bread sauce prompted the apocryphal French remark “The English have sixty religions but only one sauce”. This, however, denies the honorable ancestry of the sauce, which goes back to medieval cooking. The perfect example is considered to be a smooth, creamy sauce, with subtle but distinct flavouring, traditionally with cloves, onion, mace and bay leaf. It was traditionally served with pheasant but works incredibly well with all poultry and game meats. 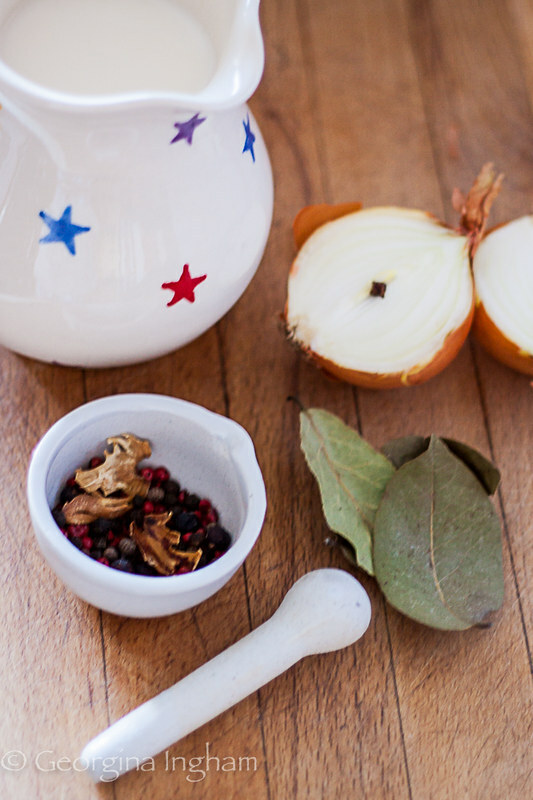 Imagine a traditional Christmas turkey lunch without it? Impossible! It is best to use white bread that has been allowed to stale slightly, I use a farmhouse loaf. The other ‘trimmings’ are of course up to you, my favourites include kale with crisp shards of bacon, crunchy roast potatoes, butter braised carrots with maple glaze, pigs in blankets and of course gravy made with the meat juices and a splash of wine. There’s no gravy powder in this kitchen, thank you. I would always advocate buying the very best quality chicken you can afford, at the very least free-range for both the ethical and health benefits. I buy mine from my local butcher or farm shop, but I’m well aware that sadly not everyone has either of these on their doorstep anymore. The leftover chicken is also very versatile, equally great for serving with a salad and a citrus spiked dressing as it is served with a nostalgia inducing hot dish like bubble and squeak if you’ve got some mashed potatoes to use up too. Oh, let me tell you, the addition of crispy bacon to the bubble and squeak lifts the simple dish to another level altogether, after all who could resist little nuggets of porcine goodness? Really what I’m trying to beg of you, is not to let the leftovers go to waste as that would be a crying shame. We, in this country, waste far too much food and need to take a good hard look at ourselves, adjusting our eating habits as we go. If you think you’ll have far too much chicken left to eat, strip the meat from the carcass and freeze it ready to use up another day and then make stock from the bones. Homemade stock is much easier to make than many people think and is well worth the little effort involved. But what about when the weather is warmer and sunnier, and you don’t want to be tied to the oven cooking a roast? 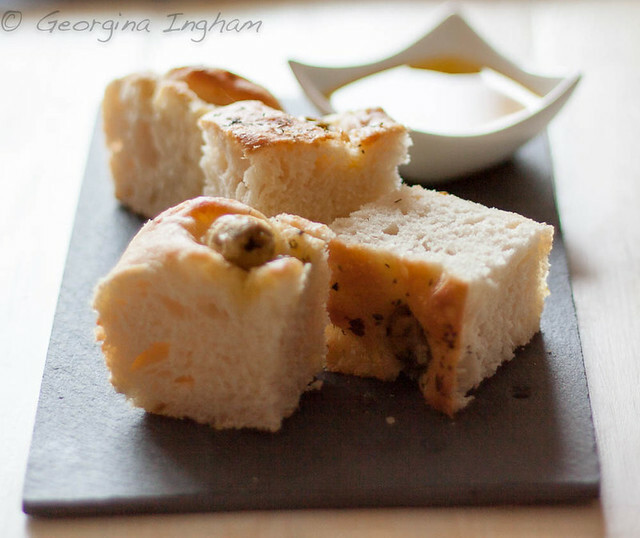 Well how about we take a culinary journey from traditional English fayre to Greece where simply prepared fresh ingredients spiked with plenty of oregano (rigani) is the order of the day? 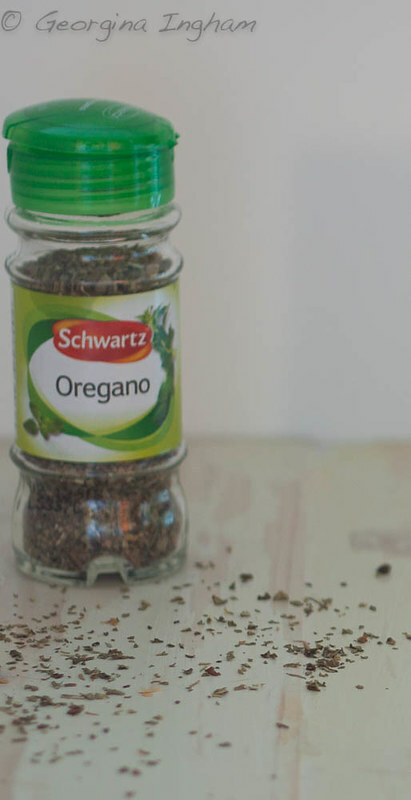 Like the bay and mixed herbs, the oregano from Schwartz was aromatic and intensely flavoured. Very impressive indeed. The word oregano is from the Greek, meaning “joy of the mountains”, and of course oregano does grow wild, covering the hills and mountain slopes of Greece perfuming the air with its pungent, sweet scent. Oregano is one herb that is best used in its dried form for cooking, whilst the fresh leaves (if young and tender enough) can be eaten scattered in salads and over grilled meats and fish. 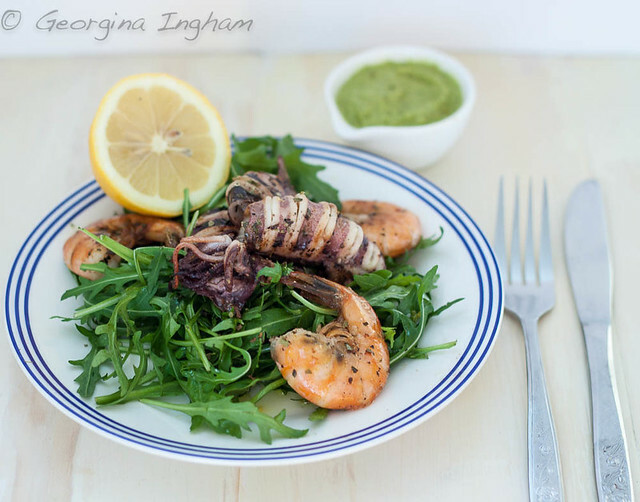 One of my favourite ways to enjoy grilled calamari and prawns is in the Greek style, with plenty of olive oil, lemon and oregano. In Greece you’re probably far more likely to find octopus, rather than squid served this way but it is not as commonly available here in the UK and takes far more preparation too, which is why I tend to use calamari. You needn’t serve this hot, but it must not be cold either, like so much Greek food, tepid is the word. If you’ve ever been fortunate enough to visit Greece, not only will you be familiar with the obsession with oregano, but you’ll be familiar with fabulous seafood served with ‘ladolemono’ AKA a supercharged oil and lemon vinaigrette, spiked with, yes you guessed it, oregano. Ladolemono is fabulous as it is, and, isn’t that always the case? 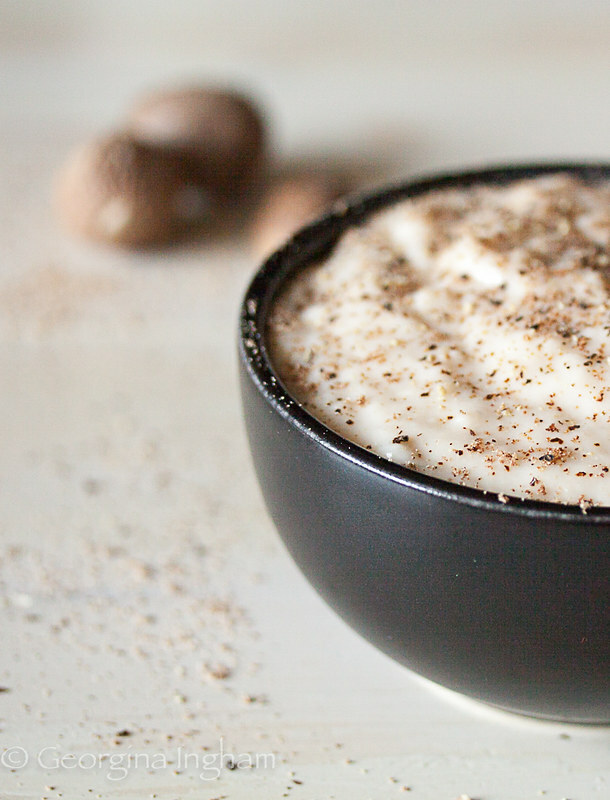 Sometimes the simplest of foods are the best. I also like to serve a zingy citrus sauce made with charred lemons, rocket, spinach, oregano and lots of olive oil with the squid, but, hint, hint, it is also great served with roast chicken or souvlaki. Why grill/char the lemons before making the sauce? Well, grilling citrus fruits concentrates the flavour and makes them sweeter, which means you get an immense hit of mood boosting citrus warmth with just enough acidity to lift the other flavours in the dish. Genius, no? Serve the squid and prawns with a simple rocket salad and some crusty bread or even better some olive (Greek, natch) studded focaccia. Should the weather be anywhere decent enough, eat al fresco and dream of holidays in exotically beautiful Greece, be it by the glistening Aegean sea, in picturesque villages or in the cultural gem that is Athens. Surely the ultimate in nostalgia driven comfort food. 1. Preheat the oven to gas 220C or the equivalent. Make sure your chicken is at room temperature and cut off any string or rubber bands. 2. 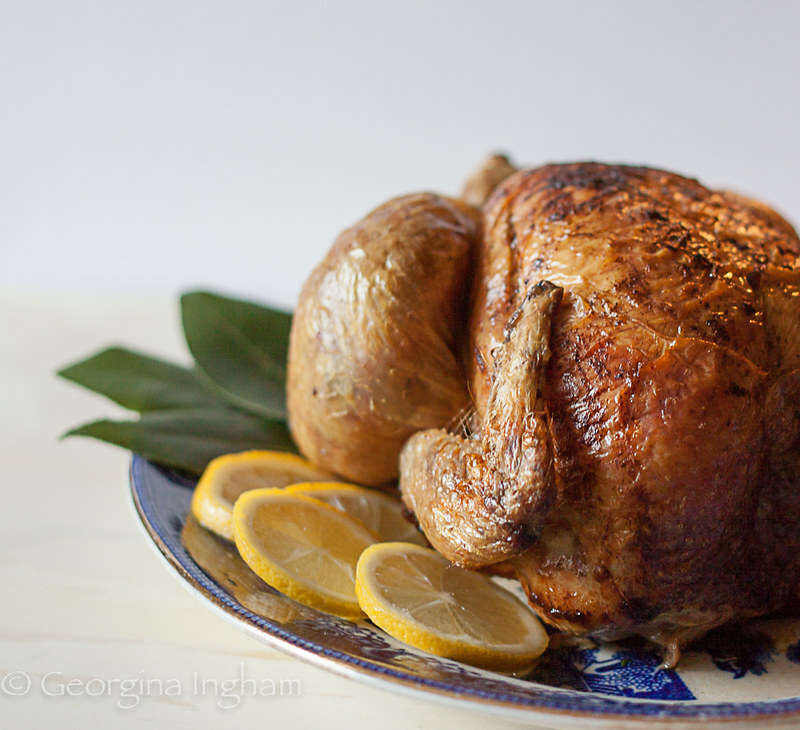 Sit the bird in a roasting tin and put the lemon, bay leaves, garlic cloves and black peppercorns into the chicken cavity. 3. Stir the mixed herbs into the butter and push the butter under the chicken skin above the breast. 4. Rub the olive oil over the skin and sprinkle over the salt. Put the chicken into the oven and cook for approximately 1.5 hours or until the juices run clear, basting the chicken with the buttery juices every 30 minutes. 5. Allow the chicken to rest for 20 minutes in the tin before transferring to a carving board. 6. Deglaze the roasting tin with around 100m1 white wine, letting the juices and caramelised bits from the roast chicken make an intensely flavoured gravy. 7. Strain through a sieve and return to a clean pan, add approximately 200m1 chicken stock, preferably homemade, and allow to bubble gently and reduce to your preferred consistency. 1. Preheat the oven to 220c or equivalent. 2. Peel the potatoes and cut each one into three by cutting off each end so that you are left with a wedge/triangle in the middle. 3. Put the potatoes in a pan of salted boiling water and cook for around 5 minutes. 4. Drain the potatoes and return to the pan, clamp on the lid and give them a really good shake - you want to bash the potatoes 5 so that the edges become fluffy allowing for extra crunch on roasting. 6. Meanwhile heat the goose fat in a large roasting tray until very hot before carefully tipping in the potatoes. 7. Turn the potatoes over in the hot fat and then roast in the oven for around 45 minutes, until golden, crisp and crunch, turning them over halfway through cooking. 8. Drain well on kitchen roll before serving. Should they be in season you can replace the kale with sprouts - cook them in boiling water for around 5 minutes or until just tender and proceed from there. 1. Tip the kale into a pan of boiling, salted water and cook for a couple of minutes before draining and plunging into a bowl of cold water to halt the cooking process. 2. In a frying pan large enough to take the kale later, heat the vegetable oil and then fry the bacon pieces until crisp and golden. 3. Add the kale and butter to the pan and warm through on medium heat, ensuring that everything is mixed together well and the butter slicks the kale. 4. Season with a good grinding of black pepper before serving. Braising carrots slowly in butter rather than steaming or boiling them, brings out their natural sweetness, and is healthier than you think as it preserves many of the vitamins. Maple syrup adds a delicate glaze and a rich flavour. 2. Melt the butter in a large frying pan over medium heat. 3. Add the carrots, cover the pan and allow to braise over gentle heat, stirring occasionally until the carrots are tender, 20-30 minutes. 4. Increase the heat to medium and add the maple syrup and lemon juice. 5. Gently stir the carrots to coat with the glaze and allow to bubble for 2-3 minutes until glossy. 6. Season with a good grinding of black pepper before serving. 1. Preheat your frying pan, griddle, or even better barbecue on high.Turn the first squid upside down so that its wings are flat on your chopping board. 2. Push in a spatula handle and leave it inside flat on its side. 3. With a sharp knife, slice the squid as if you were going to chop it into rings. 4. The handle that is lying inside the body of the squid will prevent you from cutting right through it. You end up with a concertina effect with the squid sliced, but still holding together. 5. Repeat with the rest of the calamari. 6. Put the calamari, prawns, oregano, black pepper, lemon zest & juice and a splosh of olive oil into a bowl and mix well, making sure the mixture gets into all the cuts you've made in the calamari. 7. Place the calamari and prawns immediately on the hot pan and cook until the calamari starts to char, firm up and turn from opaque to white inside and the prawns turn pink and char. This shouldn't take more than a few minutes. 1. 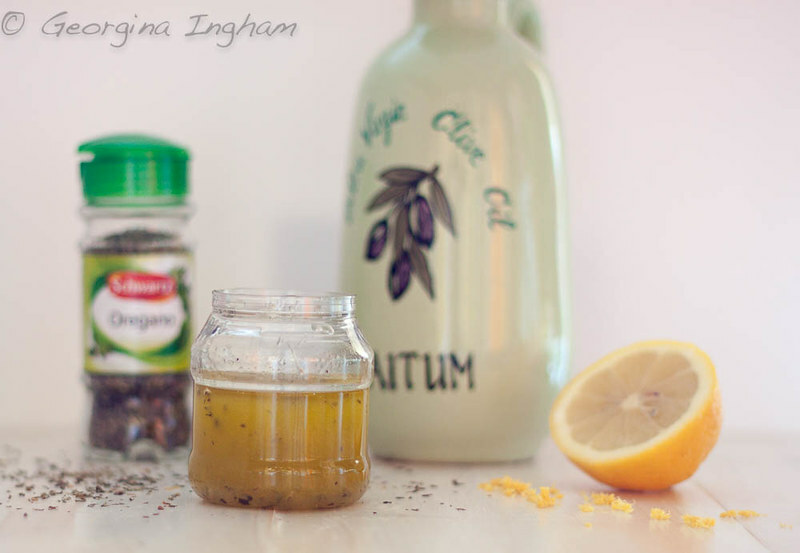 Put all the ingredients in a sterile jar or bottle. 2. Shake well to amalgamate. 3. Serve drizzled over salad, grilled fish or fish, or for dipping bread. 1. 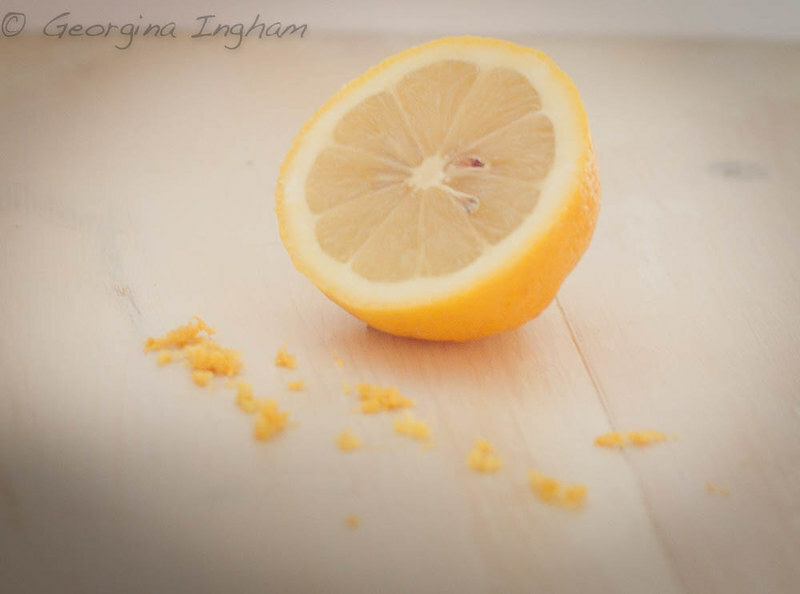 Place the lemons cut side down in a hot frying pan and allow to char -about 5 minutes. 2. 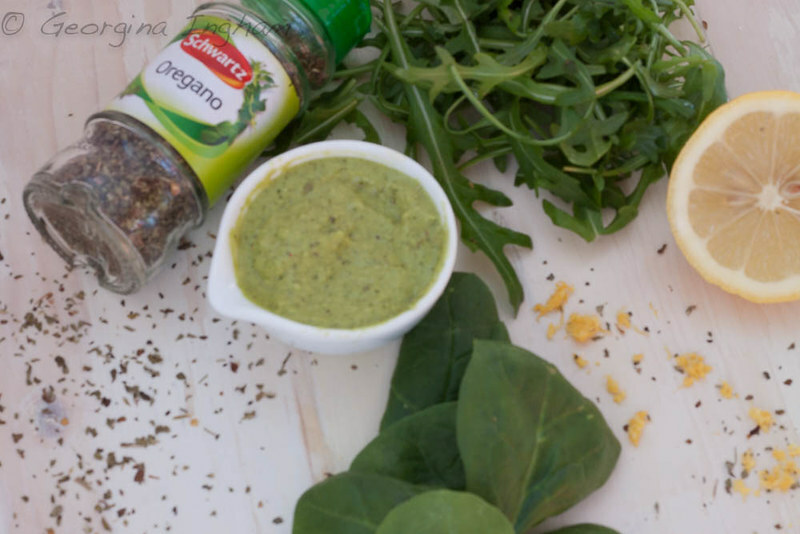 Place the lemons, oregano, salt, garlic, olive oil, rocket and spinach in a blended and process until finely chopped. 3. With the motor running gradually add the water and continue to blend until the sauce is thickened and amalgamated. 4. Serve with grilled fish, seafood, chicken, or lamb.